Religious life under the Cistercian rule continues at Buckfast Abbey under the motto ora et labora or pray and labour. One of the best known monasteries on these islands, Buckfast Abbey, celebrates the 1,000th anniversary of its foundation this week. The Benedictine Order first established a house on the banks of the River Dart in Devon in 1018. This was before the Norman invasion, during the reign of Cnut the Great, King of Denmark, England and Norway. In 1147 the community at Buckfast voted to become a Cistercian abbey, a move that transformed the layout of the monastery buildings. Over the next three centuries, the monastery increased in size and wealth, so much so that it was an immediate target for King Henry VIII’s dissolution of the monasteries, when the established Church of England broke with Rome and Buckfast’s wealth was transferred to the treasury in the Tower of London. 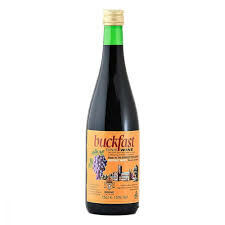 For the next three centuries, Buckfast was a monastery without monks, but that was to change in a matter of months in 1881. Catholic Emancipation in 1829 meant that the Church of Rome could rebuild its presence in the British and Irish Islands. In 1881 an advert appeared in the Tablet magazine, calling for monastic life to return to Buckfast. Within six weeks, French Cistercian monks arrived and reconstructed the abbey and all its ancillary buildings, including guest quarters, a retreat centre, a conference centre and a large market garden. Today, religious life in the Cistercian tradition continues at Buckfast under the motto of “ora et labora” or “pray and labour”. But the monastery is also very modern in its outlook. Throughout the 20th century, the abbey earned a large part of its income by producing Buckfast Tonic Wine, a caffeinated wine that is no longer manufactured at the monastery but is still produced and sold under licence. Also in modern times, the monastery is famous among apiarist for producing a particularly productive strain of honey bee, and Buckfast regularly holds events promoting beekeeping and excellence in beekeeping. The abbey garden has also won awards from the Royal Horticultural Society, and Buckfast Coffee and Food Fair held in February has won tourism industry accolades. Indeed, for a millennial monastery, the monks are very modern, with a logo specially designed for use on social media to mark the anniversary. The tenth century anniversary was formally marked on Thursday 24 May, when Cardinal Anders Arborelius, acting as Pope Francis’s representative, joined the monks of Buckfast Abbey and the hierarchy of the Catholic Church of England and Wales in a celebration of Mass at the Abbey.